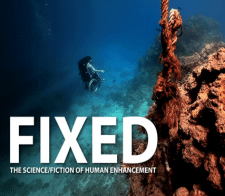 FIXED: The Science/Fiction of Human Enhancement, the documentary produced and directed by Regan Brashear, has recently shifted to the center of a variety of discussions and symposia on normalcy and disability. The film will also be screened on opening night at the Other Film Festival, the largest disability film festival in Australia, on December 3. Additionally, the United Nations has just licensed the film for its work on the Convention for Rights of People with Disabilities. FIXED questions commonly held beliefs about disability and normalcy by exploring technologies that promise to change our bodies and mind forever. The film follows five people with disabilities and explores the implications new human enhancing technologies have on them. This film is extremely important and will be very valuable for faculty from dozens of different disciplines from the biological sciences to disability studies to the humanities and social sciences, precisely because it confronts one of the central issues of our time: how to make sense of variations among human beings and how to make sense of our capacity for radical technological innovation that will change our entire futures. Brashear has been in touch with CGS since the beginning of production, and the documentary features CGS Executive Director Marcy Darnovsky sharing her concern about the potential misuses of new and emerging human biotechnologies. FIXED was screened at Future Past: Disability, Eugenics, and Brave New Worlds in 2013, a public symposium that CGS co-organized with the Paul K.